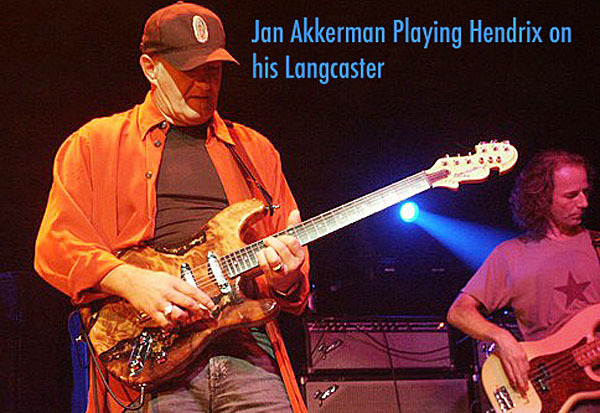 on his Langcaster guitar . 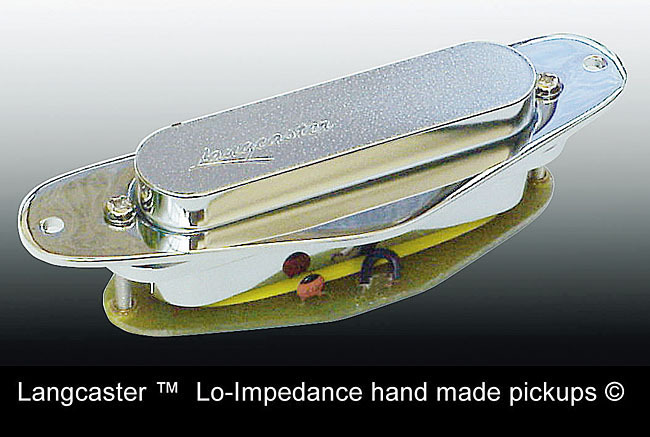 LANGCASTER GUITAR PICKUP REVOLUTION. 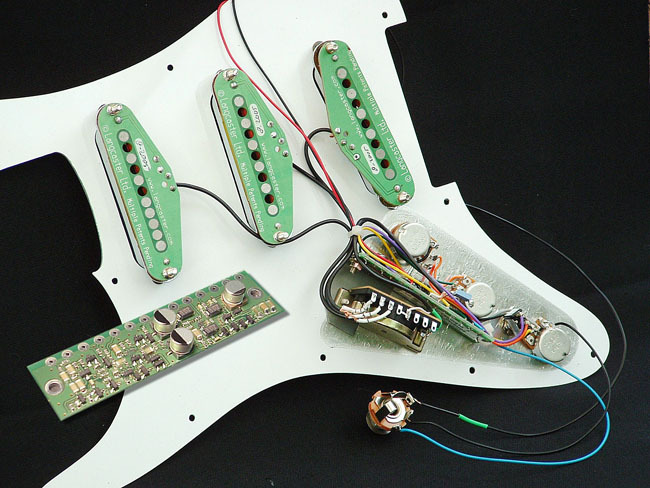 Guitar Pickups pre-wired Kitsets. 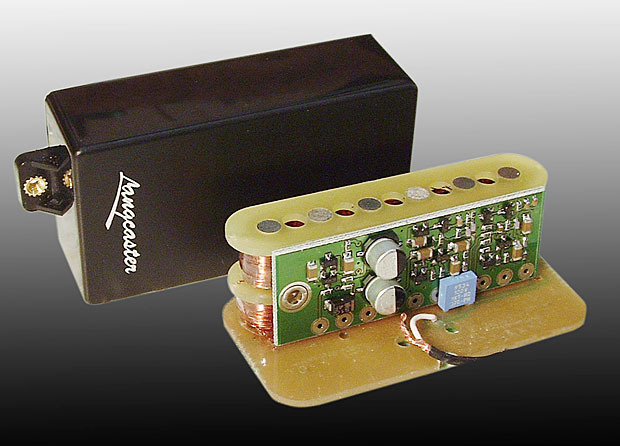 THE WORLD'S FIRST GUITAR PICKUPS WITH A BUILT-IN OVERDRIVE. 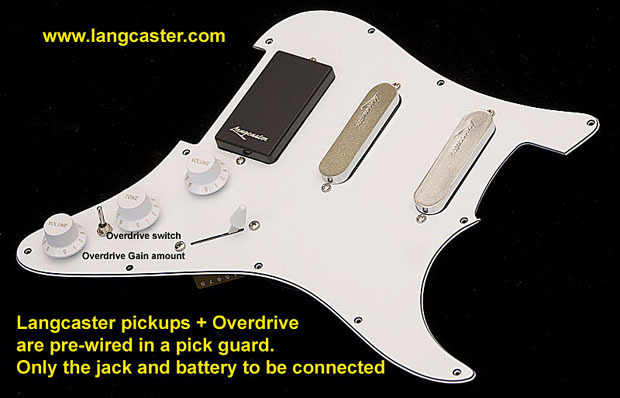 Langcaster guitar pickups are pre-wired kitsets for Fender, Les Paul and Ibanez style guitars, also for Bass & 12 string guitars and are the best sounding and cleanest sounding pickups ever ! 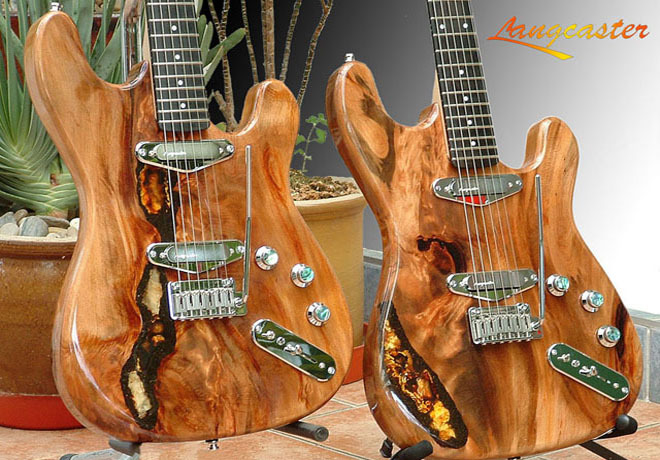 Langcaster Swamp Kauri Guitar, Neck pickup first, Overdrive on the guitar activated 2nd, Bridge Pickup last. 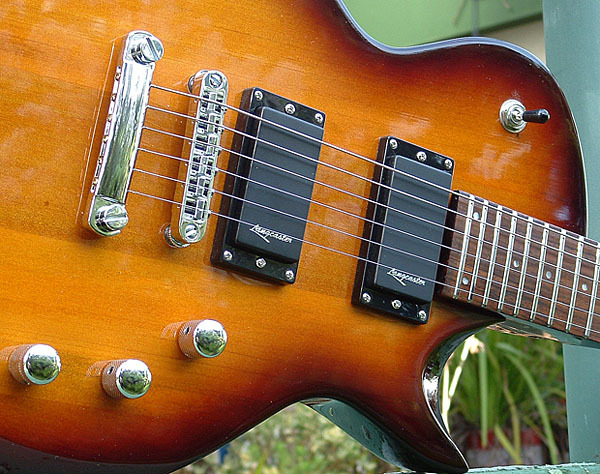 Ibanez fitted with a Langcaster Pickup kitset. 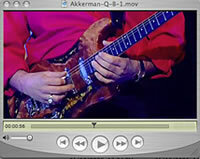 The pickups overdrive is activated and direct recorded in to the PC. 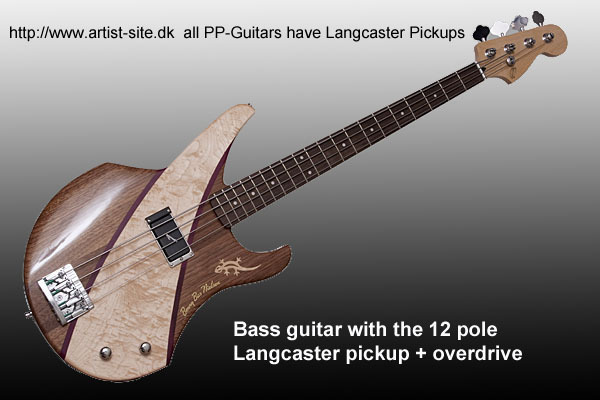 Langcaster pickups have the widest frequency range, no hummm, built-in pre-amp and overdrive with gain control. 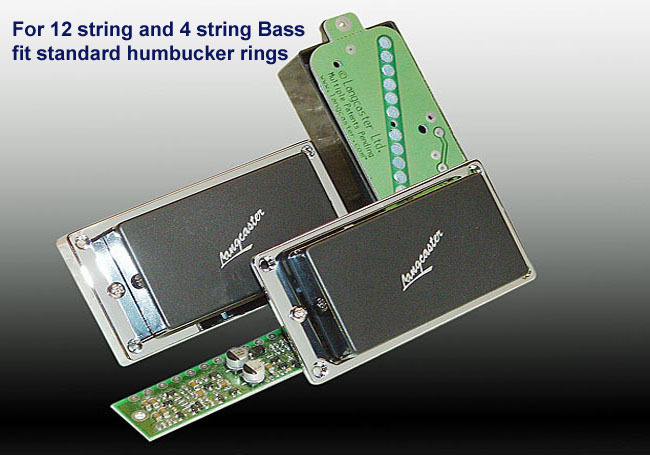 Sound clean as a bell and are only 100 Ohm and can be played through to any Amp, Mixer, PA or PC. 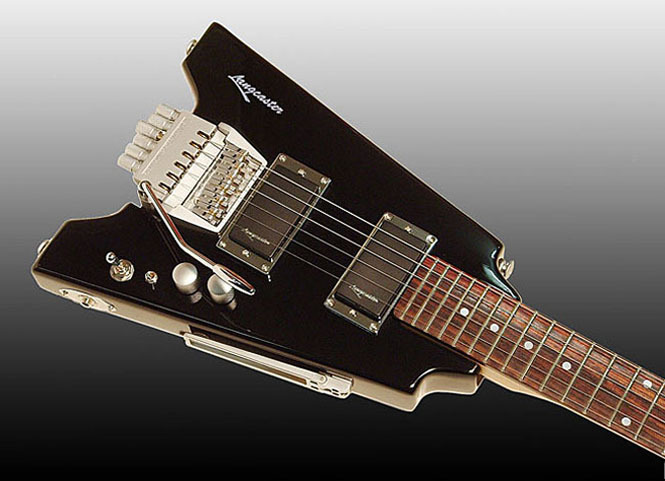 There is no treble loss when using long cords and has a built-in sweet sounding Overdrive with gain control pot. 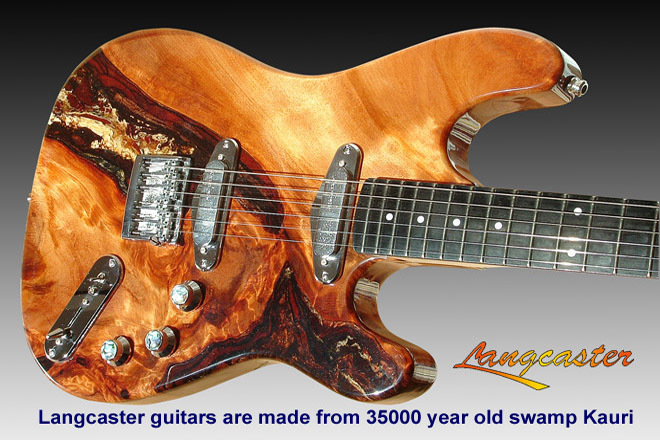 Lancaster guitars are made from 35.000 year old swamp Kauri. 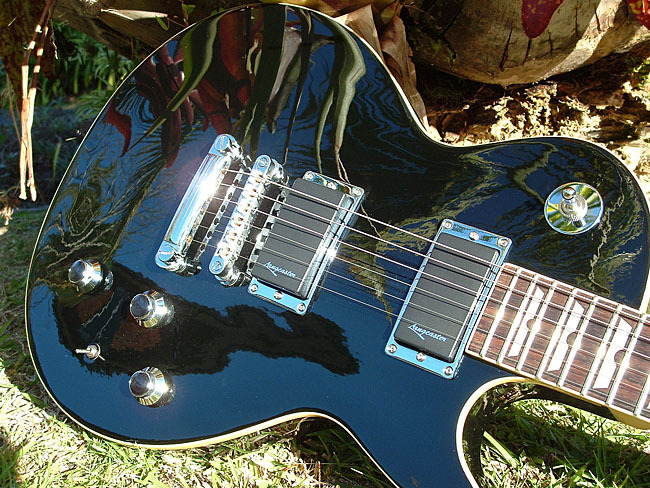 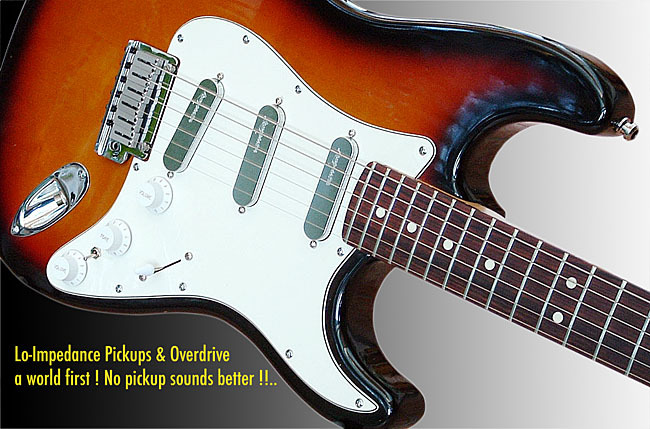 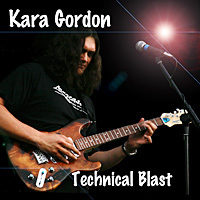 are fitted with innovated technology guitar pickups & overdrive option, a worlds first !. 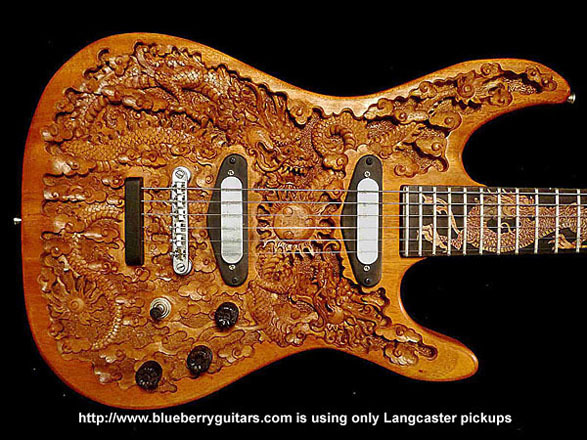 want the best sounding pickups in the world , Langcaster has it ! 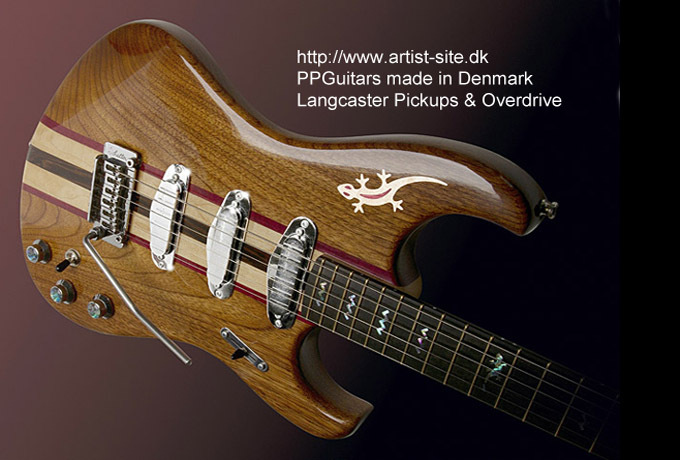 All langcaster guitars are fitted with the innovated technology Langcaster made guitar pickups & overdrive.